Glen Ellyn is an incredible town full of so many beautiful homes; We love the variety of home styles and the mix of old and new. Last year we completed a new construction home in this fabulous town and are excited to share some special details of this home with you today. 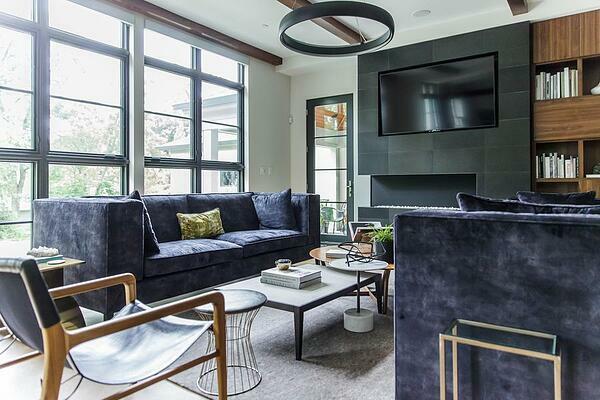 This home has a fresh look full of plenty of modern touches, a lot of unique details and oozes with a cool style all of its own. Enjoy the tour! 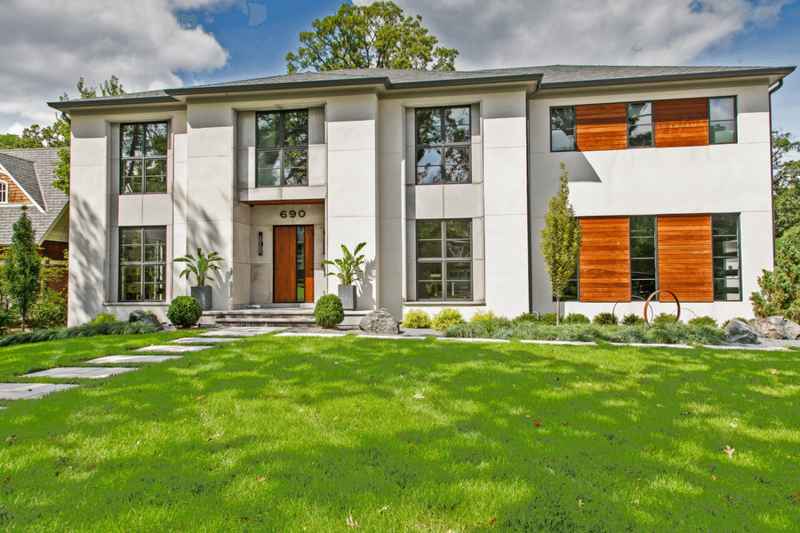 The exterior blends materials such as stucco, inset limestone and stained wood shiplap to create a sleek, streamlined exterior. 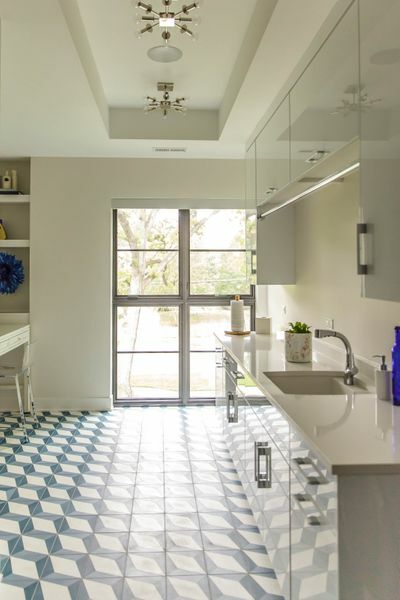 The kitchen is the hub of this home and built for entertaining. 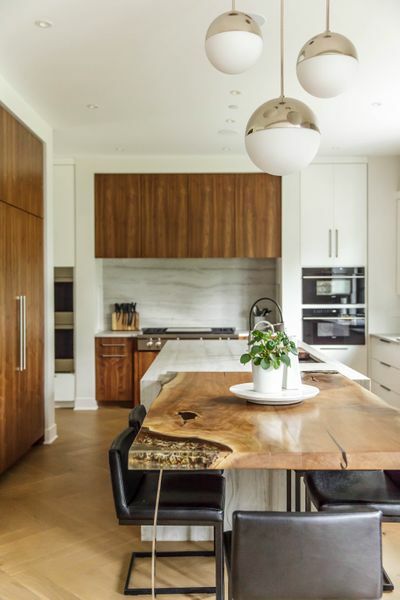 The kitchen island makes a statement with an integrated, acrylic-dipped, live edge table. Custom details abound including wood beams, a walnut mid-century modern built-in and statement lighting throughout the home. Special-use rooms are thoughtfully incorporated throughout the layout such as a homework room, 1st floor bar, craft area and study. 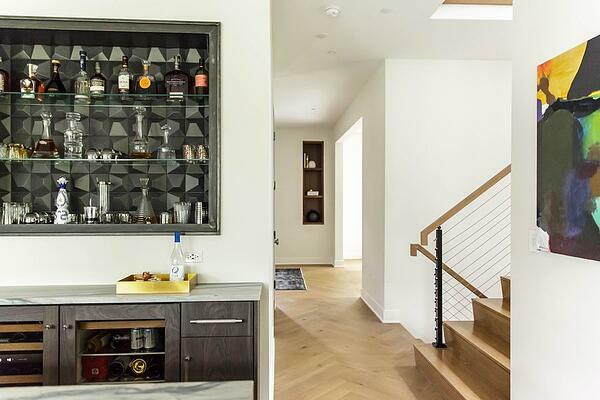 Neutral cabinetry gets a dose of personality from adjacent tile selections. 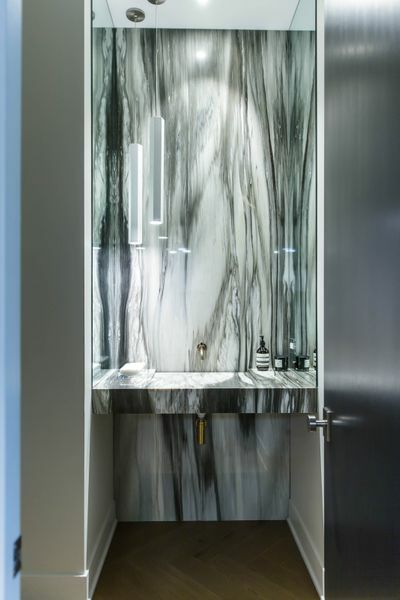 Proving small spaces can pack a big punch, this powder room features a dramatic slab wall feature with integrated custom sink. See what else we've been up to in Glen Ellyn HERE. From new construction, to renovations/additions, to finished basements - we tackle it all.